Heineken® is giving a bright and warm welcome to travellers arriving into Belfast International Airport. The brand, which is distributed by United Wines in Northern Ireland, has erected an 8m x 5m backlit sign, which is the largest bespoke advertising site in Northern Ireland. The HEINEKEN portfolio, including Orchard Thieves Cider is served in the Lagan Bar, Sip & Stone and Gate 22 at the airport. With such a diverse range of consumers passing through the doors everyday, the extensive offering from HEINEKEN will ensure all tastes are satisfied. United Wines brand manager Nina Doyle commented: ”The illuminated signage is another step forward in the great working relationship we have with the Belfast International Airport. 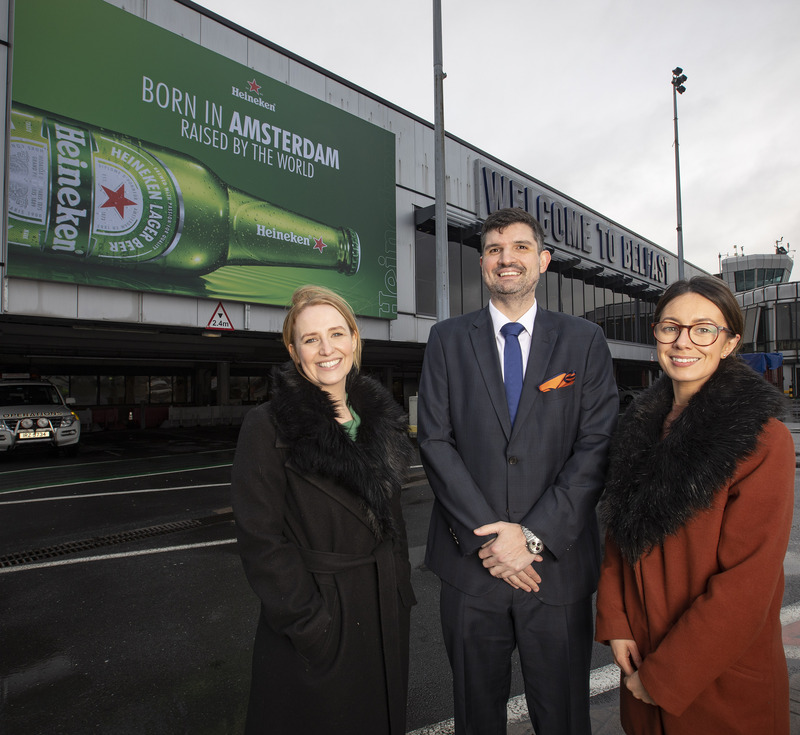 The Heineken® brand is a globally recognised brand and the messaging on the current execution ‘Born in Amsterdam, raised by the world’ is a great fit for those global jetsetters arriving home or visiting Northern Ireland for the first time.